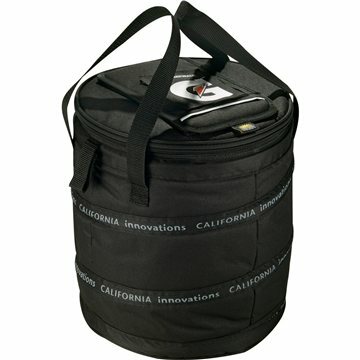 Zippered main compartment holds up to 24 cans. Barrel shape for increased capacity. Easy-Access zipperless pocket allows for quick retrieval of chilled items. Ultra Safe™ leak-proof, easy clean PEVA lining. Very happy with the products. Your sales contact was very helpful and made an effort to follow through the order. Pricing and quality was excellent. Veronica was wonderful.